Friendly staff on the phone. Easy return and replacement when I needed to change size. Brook Taverner never fail to put a smile on my face.. 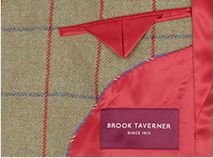 I have been wearing Brook Taverner now for nearly 15 years and despite the ups and downs of life and the changes in economy, they have maintained a consistent quality that other suppliers wish they could aspire to. 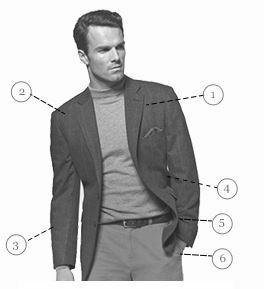 I will keep Brook Taverner as my main source of wear not only because of the service they provide, but the quality of the garments and durability of all they produce. Keep me smiling when ever my box turns up and I'll keep on buying..
great products at a realistic price. customer service excelled when I had to change a size. Easy to order, arrived in plenty of time and a high quality suit. Great quality. Nice variety of sizes of men's suits. Comfortable fits. Very businesslike. Always wary of ordering clthing on a website, especially a suit I will wear most days. I was pleasantly surprised when opening the package as it looked grat and even more surprised when trying it on. Suit is great quality, fits really well and the value for money was excellent. Ordered a suit on line, payment was easy and the suit arrived 2 days later, exactly as ordered. Easy shopping! Great quality, great service, great price = well pleased customer! Ordered 40R jacket & 34W, 33L trousers, Charcoal Avalino suit with some reservations about buying a suit on-line. Suit arrived, well packaged, within a few days and fitted perfectly (I would be these standard sizes in M & S)!. Charcoal colour was also perfect as it was very dark, which was what I wanted, and also what the Brook Taverner lady had described on the phone when I rang to ask. 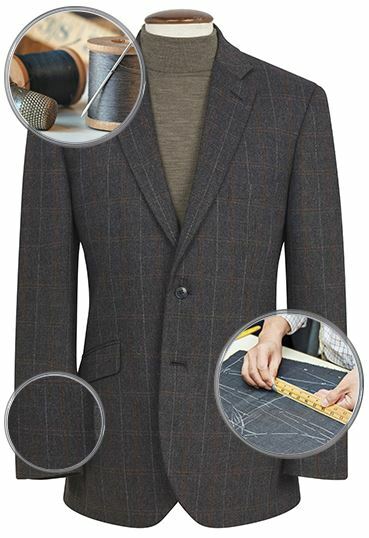 A great quality wool blend suit, seems to be crease resistant too, which I would thoroughly recommend and I would not hesitate to buy from Brook Taverner again! Very pleased with the suit that I have received, will certainly be purchasing other items again in the future. 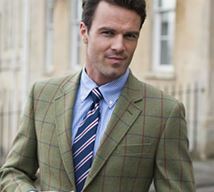 Brook Taverner offer an attractive range of goods. Sizes, quality and service are all exceptional. super great suit, i can't wait to buy another.. Excellent company with an amazing customer service vision! I ordered a suit (which arrived very quickly) and when I tried it on, I realised I had ordered the wrong size suit jacket. I contacted the customer services via email and they got back to me within 24 hours, telling me that there was a pre-paid return postage sticker in the suit box....... Excellent, tell me which other company offers 'paid for' returns in this day and age? very few. Communications were also great, regular updates about order status. All in all, very happy customer who will use again. PERFECT IN EVERYWAY - DONT GET A SUIT FROM ANYWHERE ELSE!!!! I was looking for a good quality suit quickly and came across Brook Taverner. This possibly has to be one of the best discoveries I have ever made. The suit was ordered ( and at a price that I still can't believe) and was delivered in 3 days - a fantastic service considering the order was placed on a Saturday Night!! If you are looking for a suit, do not look any further - YOU WILL NOT BE DISAPPOINTED !! Simple to order on line, friendly and helpful on phone, fast delivery, all that you want when shopping ! I purchased 3 suites, I got trouser waist size wrong when I placed order, but this was not a problem and items were changed very quickly. Really impressed with overall service and will definitely shop again. Excellent suit at a great price on offer. Just right. Wrong size, but well-made travel suit jacket. I am absolutely delighted with my jacket. Always wary of ordering clthing on a website, especially a suit I will wear most days. I was pleasantly surprised when opening the package as it looked grat and even more surprised when trying it on. Suit is great quality, fits really well and the value for money was excellent. Would definately recommend. 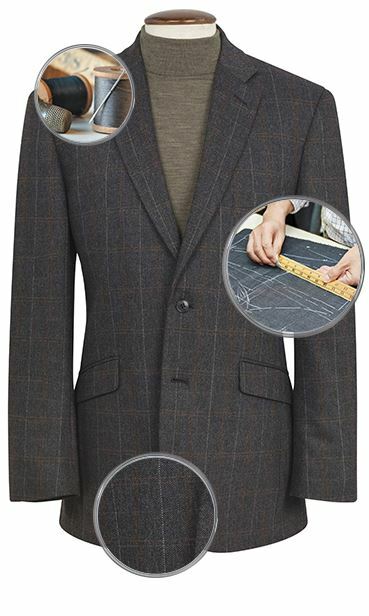 I was looking for a good quality suit quickly and came across Brook Taverner. This possibly has to be one of the best discoveries I have ever made. The suit was ordered ( and at a price that I still can't believe) and was delivered in 3 days - a fantastic service considering the order was placed on a Saturday Night!! The suit is excellent quality and perfect fit - all in all FANTASTIC I have recommended, and will continue to recommend, Brook Taverner to as many people as possible First Class Quality and First Class Service - you cannot ask for anything more If you are looking for a suit, do not look any further - YOU WILL NOT BE DISAPPOINTED ! !